Every once in a while I get aboard a boat and she makes me just want to go sailing! This is one of them! Obviously me and lots of sailing friends too. Fantastic, Briand design, built of Carbon composite in Rhode Island, USA she was built for IOR 50 and was part of the winning (French) Admirals Cup team of 1991. Having found her way into British ownership in 2010 she underwent a refit in 2016 ready for the Nab Tower race where she came first over the line in her class. She was lifted ashore that winter and has remained ashore in a good yard awaiting her next adventure. I advise viewing... we have a tall ladder! 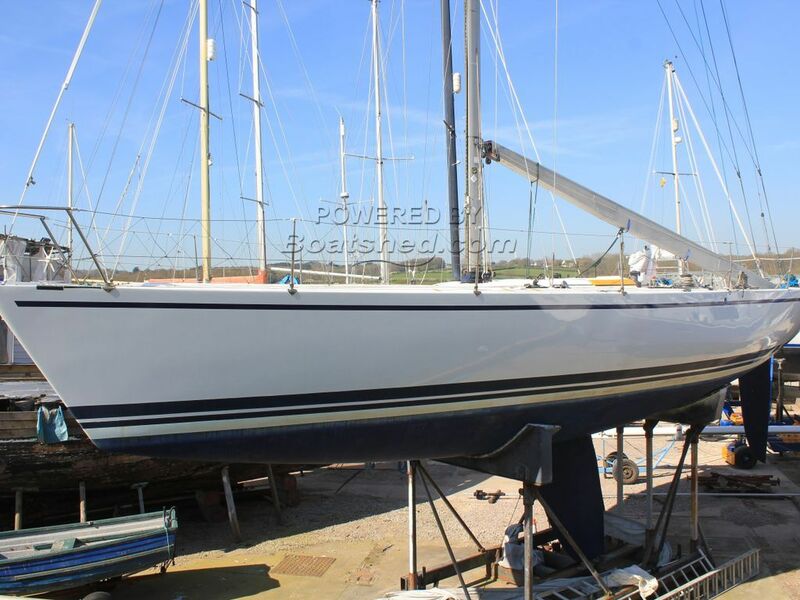 This Goetz Custom 50 has been personally photographed and viewed by Corinne Gillard of Boatshed IOW. Click here for contact details. Please note this comments section is public. Please do not post your personal details here. To enquire about purchasing this boat, please contact the broker directly at corinnegillard@boatshed.com. Please read our commenting guidelines before posting.